Front Air Dam has a large chunk of plastic missing from the center. Retails for $120..can get one for around $92 online but they want $55 to ship! WTF? Guess that'll be a local dealer item. Even paying tax it'll be less than buying online! Last edited by Ronbo; 11-09-2017 at 12:27 AM. Score! Found a new OEM Front Air Dam from a Dealer on Ebay. $105.45 with free shipping. Much cheaper than buying from a local dealer or the usual assortment of online wholesale dealers with their high retarded shipping! When I'm done with getting replacement parts, maintenance items, and consumables I'll be at the $2000 price point. Still not bad for an decent SUV. Just got a message from the Ebay Seller for the Air Dam that cancelled the order! WTF. Claims my ship to address had a problem. Well it's been the same for over 5 years and verified by Ebay and PayPal. I suspect this Clown wasn't an actual dealer and didn't have the item! Found another Seller that's an actual Dodge Dealer that has the air dam for a few $$ less. $103.25 shipped. We'll see how that goes. Grrrr! Front Fascia has to come off to replace fog lights! And the Grille and Headlights need to come off to get the front fascia off! WTF? And to replace the Air Dam ...same...Front Fascia has to come off. Guess I'll wait until the Air Dam gets here next week and replace the Fogs and Air Dam at the same time. Got a UPS tracking # from the Georgia dealer so the replacement Front Air Dam is on the way. Avoid the Ebay Seller "Worldpartshop" that tries to pass themselves off as an OEM dealer. 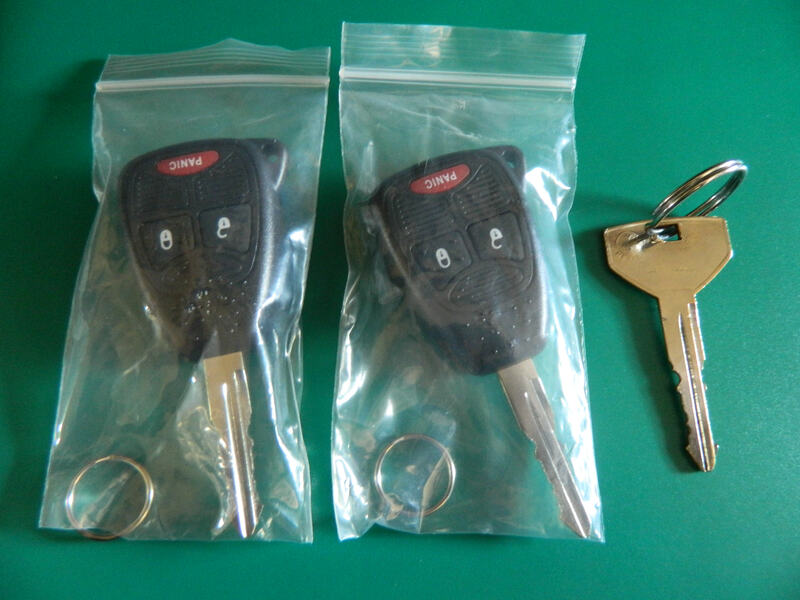 Bought a pair of Remote Key Fobs off Amazon for $15.95 and had them cut locally for $5.45 for a total of $21.30. Now I just need to get them programmed for the RKE function. My SLT only came with RKE and not SKIS/SKREEM anti-theft. Only had one metal key without remote when I bought it. No Remotes. A little research over on 'Rango forum showed 2004 Durangos built before May 2004 had issues with the WCM (Wireless Control Module) not being able to program additional key fobs. Have to get a new WCM. The WCM module in the Durango is the equivalent of the Sentry module in our LH cars. New WCM module is around $120 online then there's the Dealer programming. Locksmith that cut the keys today said $30 to program both keys. Might have him try it in case the WCM has already been replaced. Still cheaper than the Stealership by far! Think I can get by with removing the headlights only for the Front Bumper Fascia removal. The big thing on the fascia removal is several tabs that need to be released under the headlights and grille. I think I can get that accomplished by using a trim removal tool under the grille. We'll see this weekend. Replacement Fog lights are already here and the Front Air Dam is due to be delivered tomorrow. Wish me luck! I need to see if this heads Up Display I bought for the Magnum works in the Durango. Worked fine and fully functional in the Magnum. Only partial Functional in the Special. Connects to the OBD port. It was only $60 and actually worked great in the Magnum. Basically you set the panel on the dash and it reflects on the windshield. Seemed to have no problems with the CAN bus but very limited functionality with the PCI Bus. Seller claimed it was just OBD-II compliant but obviously not! 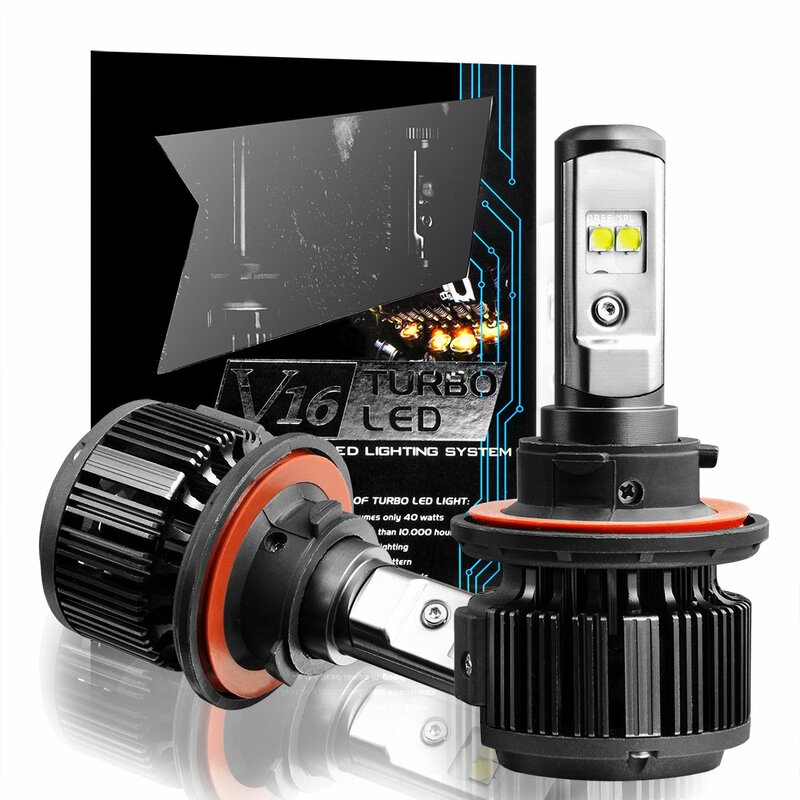 Drivers Side Fog Light bulb. The Fog light was a given as the lense was broken and i already bought a pair of OEM type replacements with bulbs. I bought these for headlight bulb replacements. We'll see how they do. Also bought the CAN Bus anti-Flicker kits just in case. Might need to look into a set of OEM Alloy wheels in 17" size? Last edited by Ronbo; 11-13-2017 at 09:01 PM. Entertaining buying OEM alloy wheels in the 17" size that will work with my current steelie tires. $459.96+$100 shipping or best offer. No Center caps. An added expense. Or this style. Same deal no center caps. $590.40 with free shipping. Caps appear to be about $20 for 4. Got the new OEM Front Air Dam in today from the GA dealer. Came in a HUUUUUGE box that could fit 10 of these in there! Must've cost them at least $30 to ship it! Looks like I'll have several Durango projects going on this weekend. New Front Air Dam and Fog Lights install. Replace bolts/studs/gasket and possible exhaust manifold on the passenger side. Polish Headlights with my Chemical Guys stuff. Verify part number on WCM to determine if it needs to be replaced for RKE Programming. Need to get a new pair of tires for the rear. Will set that up next week. Probably Firestone.